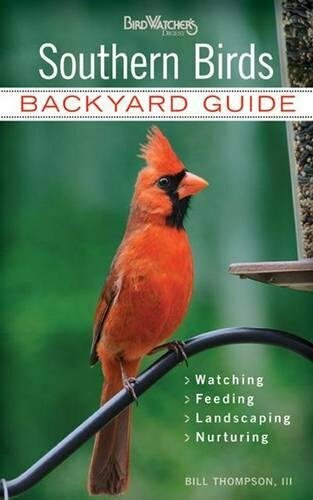 Make bird watching in Texas even more enjoyable! With Stan Tekiela’s famous field guide, bird identification is simple and informative. There’s no need to look through dozens of photos of birds that don’t live in Texas. This book features 170 species of Texas birds, organized by color for ease of use. Do you see a yellow bird and don’t know what it is? Go to the yellow section to find out. Fact-filled information, a compare feature, range maps, and detailed photographs help to ensure that you positively identify the birds that you see. Woody plants and cacti are vital staple foods for cattle, deer, and other wildlife in drought-prone South Texas. 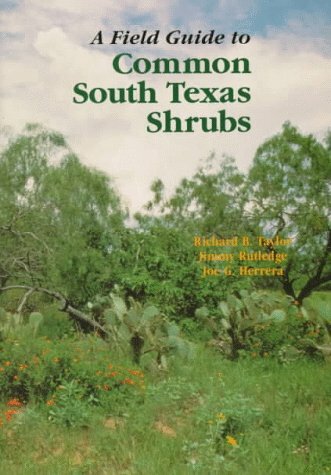 Ranchers, hunters, and land managers who need to identify these plants relied on A Field Guide to Common South Texas Shrubs (published by Texas Parks & Wildlife Press and distributed by UT Press), which is no longer in print. Responding to ongoing demand for the book, Richard B. Taylor has completely updated and expanded it with seven new species, new photographs, and a quick plant identification key.Common Woody Plants and Cacti of South Texas is an easy-to-use plant identification field guide to fifty species that comprise an estimated 90 percent of the region's woody canopy cover north of the Rio Grande Valley. The species accounts include photographs, descriptions, values to livestock and wildlife, and nutritional information. 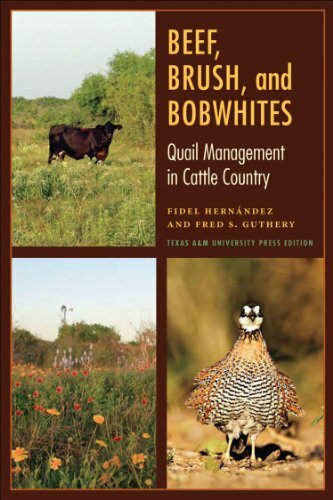 The book also provides historical perspectives and information on brush management techniques and strategies, as well as habitat appraisal. All of these resources will enable readers to analyze stocking rates for deer and cattle, evaluate a prospective hunting lease, or buy property. 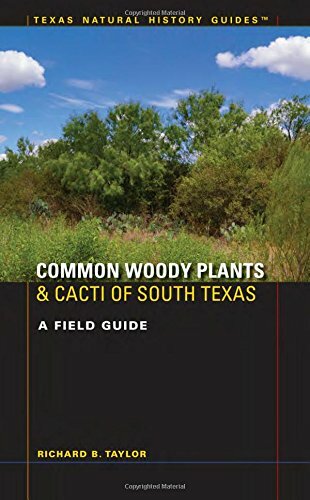 A Field Guide to the Woody and Flowering Species Covering the almost three million acres of southernmost Texas known as the Lower Rio Grande Valley, this user-friendly guide is an essential reference for nature enthusiasts, farmers and ranchers, professional botanists, and anyone interested in the plant life of Texas. Alfred Richardson and Ken King offer abundant photographs and short descriptions of more than eight hundred species of ferns, algae, and woody and herbaceous plants—two-thirds of the species that occur in this region. 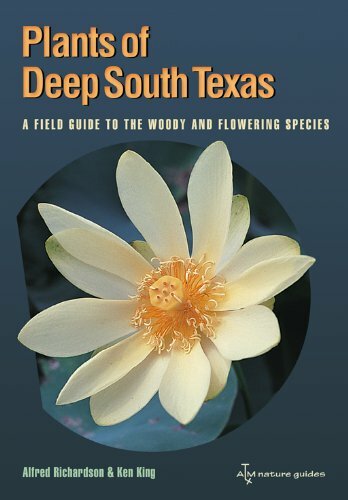 Plants of Deep South Texas opens with a brief introduction to the region and an illustrated guide to leaf shapes and flower parts. The book's individual species accounts cover: Leaves Flowers Fruit Blooming period Distribution Habits Common and scientific names In addition, the authors' comments include indispensible information that cannot be seen in a photograph, such as the etymology of the scientific name, the plant's use by caterpillars and its value from the human perspective. The authors also provide a glossary of terms, as well as an appendix of butterfly and moth species mentioned in the text. "Butterflies of South Texas including the Lower Rio Grande Valley beautifully illustrates over 80 species of butterflies and most of their caterpillars found in South Texas, including the Lower Rio Grande Valley, considered the number one butterfly watching area in the U.S. This pocket-sized guide features color photos in a side-by-side format that makes it ideal for field use. The guide includes, along with many of the more common species, several of the most unique species of the region. Common and scientific names, adult size, season when they can be found, and their caterpillar host plants are listed. Nature enthusiasts of all ages will enjoy using this marvelous guide." "A quick and easy to use, light-weight yet durable, all-weather photographic identification guide to the birds of South Texas, including the Lower Rio Grande Valley. Stunningly detailed digital photographs depict 128 species of common and notable birds enabling users to identify nearly every commonly-occurring and regional bird specialty they encounter in a wide geographic area spanning from Rockport and Aransas National Wildlife Refuge in the northeast, south along the Gulf coast to Brownsville, then upriver along the Rio Grande to Falcon Dam and points between. 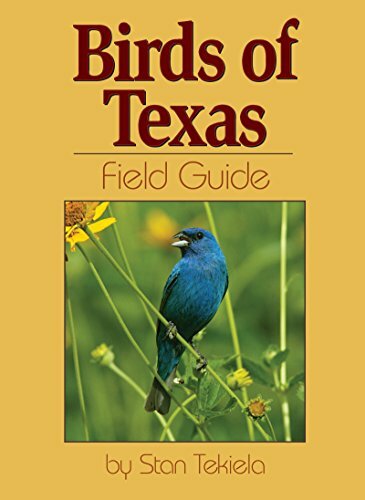 Aimed at beginning and intermediate birders, the guide will easily fit into any daypack, pocket or glove compartment, facilitating easy field identification—whether in a backyard, on a family vacation, or a serious birding trip visiting the best birding hot spots in South Texas." Seldom Heard is a collection of stories from modern cattlemen (all characters) who have shared vignettes about their ancestors, ranches and their lives on the range. 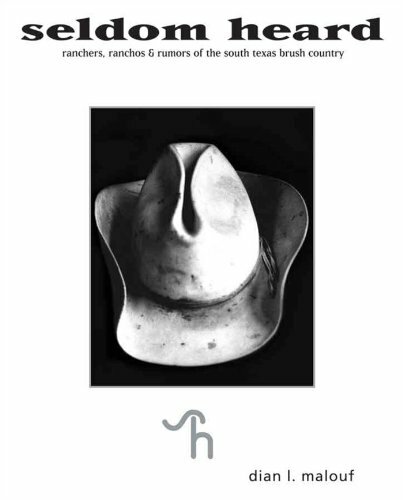 Includes 26 easy to read essays of Southern Texas ranches, many of which date back 100 years in the same family. Includes two of the biggest ranches in Texas –East Family Ranches, and Killam Family Ranches.To go ranch hopping through the great ranches of South Texas is an experience worth having. Dian Malouf knows the old-timers who inhabit them. Her book—Seldom Heard—is an easy read through 26 essays of ranches, many of which date back 100 years in the same family. Some of these vast spreads top 360,000 acres.Don’t miss this book of authentic people who restore your faith in a world overrun by television facelifts and trivial pursuit of rock stars.These rancher’s idiosyncrasies are abundant and amusing, and Dian reveals them with surprise and humor. This is a Texas that may be devoured by urban society in the next 25 years, so meet them while you can. The likes of this authentic and stubborn society of individuals is worth knowing before they leave us. 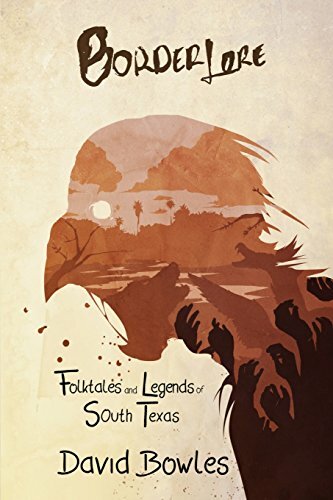 Award-winning translator and author David Bowles brings together twenty-five darkly memorable stories of the southern borderlands of Texas, retold in his unique voice. Ranging from the age-old folktales heard at his grandmother's knee to urban legends collected down the years, each of these narratives is brought to stunning visual life by artist José Meléndez. An appendix classifies the pieces and enumerates motifs. There are over 281 species of woody plants and 32 species of cacti in the South Texas ecological region. The vast majority of these are found in the lower Rio Grande Valley, which is part of the subtropical Tamaulipan biotic province. Many of the plant species in this area reach their northernmost boundary here. The 44 plants described in this guide represent an estimated 75% of the overall brush biomass of the South Texas ecological region, excluding the lower Rio Grande Valley. The plants are grouped into thorned and thornless categories and alphabetized by family. Distinguishing characteristics have been italicized for easy reference. Similar species are also noted. In this guide, plants are not ranked by importance because their value to animals can differ from ranch to ranch, depending on the plant's availability and the ranch's location, soil type, and land management practices. In case a plant is not found in this guide or more information is desired, a list of additional references is included. Hunting Wild hogs in South Texas can be a challenge with the thick brush, but we use elevated stands to locate the sounders and then make our move on the ground. Compare prices on South Texas at ShoppinGent.com – use promo codes and coupons for best offers and deals. Start smart buying with ShoppinGent.com right now and choose your golden price on every purchase.